OTTAWA, June 2, 2016 – Increased transparency in payments made by large resource sector companies to governments is an international phenomenon that won’t go away any time soon. But how do we stop this move into the sunshine from burning Indigenous groups that will have to disclose information that was previously confidential? 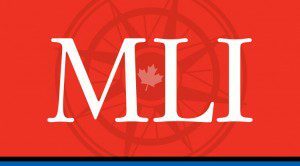 Dwight Newman and Kaitlyn S. Harvey, in a new paper for the Macdonald-Laurier Institute, make recommendations for Ottawa in fine-tuning its new transparency legislation. 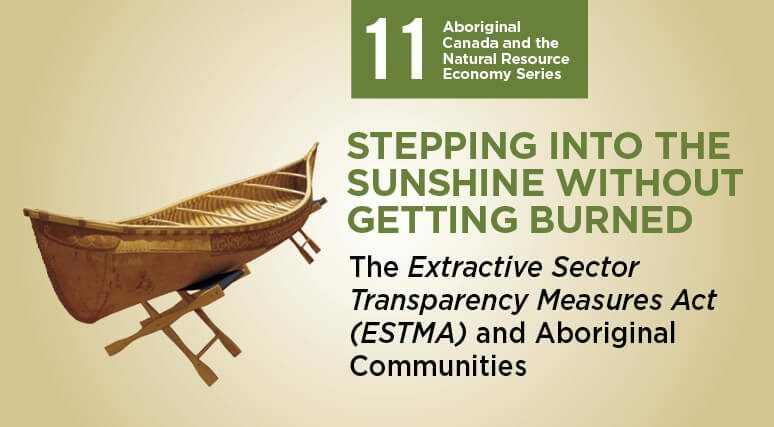 To read the full paper, titled “Stepping Into The Sunshine Without Getting Burned: The Extractive Sector Transparency Measures Act (ESTMA) and Aboriginal Communities”, click here. The Extractive Sector Transparency Measures Act (ESTMA) has now entered into force with little fanfare. But a greater obstacle is quickly approaching: Payments to Aboriginal governments will be subject to disclosure requirements from June 2017 onwards. This has the potential to jeopardize some important new partnerships between natural resource companies and Aboriginal communities. Impact and benefit agreements, which confer a range of benefits for Aboriginal communities in exchange for certainty on particular projects, have helped bring tangible benefits to hundreds of communities across the country. Greater transparency creates several problems for negotiating deals, such as impact and benefit agreements, between Aboriginal communities and natural resource companies. Revealing financial secrets puts companies and Indigenous communities at a competitive disadvantage in negotiations. It also could create public relations problems for First Nations: Many taxpayers may wonder why communities that are receiving a large influx of revenue from impact and benefit agreements should also get funding from the federal government. However there are also potential advantages to greater transparency. Seeing exactly how lucrative impact and benefit agreements can be may encourage other Aboriginal communities to come to the negotiating table with natural resource companies. All parties should be making effective use of the time that remains to consider all implications and to prepare for fallout that could result from disclosure. There is ongoing work to do to clarify the exact scope of the concept of Aboriginal “governments”. The federal government should issue a clearer policy statement, or even add a statutory provision, committing not to cut government funding to communities based on figures disclosed under ESTMA where payments are compensatory in nature. Industry players should be proactive in dealing with Aboriginal communities with whom they have partnerships through IBAs so as to discuss the upcoming ESTMA disclosures. Aboriginal community leadership needs to be engaged with grassroots members to make them aware of forthcoming ESTMA disclosures and help with understanding its implications. In some situations with IBAs that were confidential mainly to protect financial information, industry players and Aboriginal communities should consider whether full disclosure of the IBA might be an appropriate route. Journalists must keep in mind that circumstances for IBAs vary and the mere numbers disclosed under ESTMA may not present a clear picture. The policy work needs to begin now to ensure that industry and Indigenous communities don’t get burned when they step into the sunshine in June 2017, merely a year away. Dwight Newman is a Professor of Law and Canada Research Chair in Indigenous Rights in Constitutional and International Law at the University of Saskatchewan. Kaitlyn S. Harvey is an LL.M. candidate at the University of Saskatchewan and a member of the Saskatchewan bar. She is Métis, from Prince Albert Saskatchewan.